Gallevarbe is Death’s Siren. 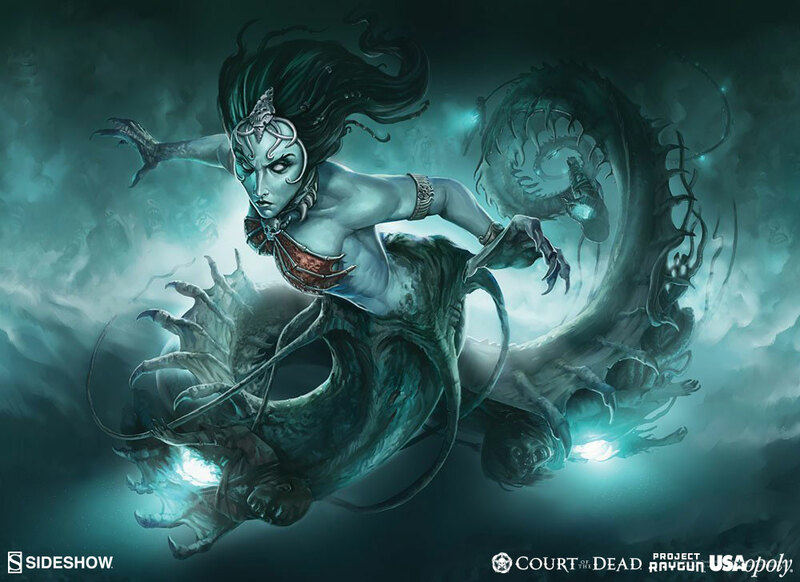 As beautiful as she is merciless, Gallevarbe is a savage hunter of wayward souls. 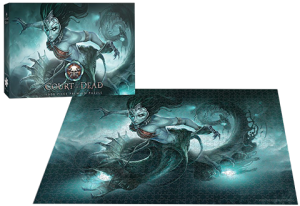 You’ll have plenty of time to contemplate the horror of being her quarry as you piece together the Court of the Dead: Death’s Siren 1,000 Piece Premium Puzzle. 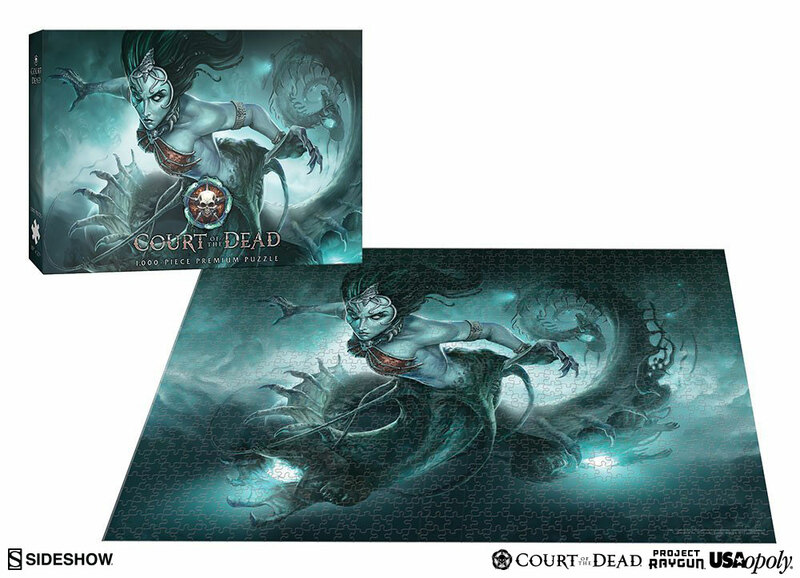 This is my 2nd Court of the Dead puzzle and I'm still in love. Fun and challenging my friends and I have spent hours just working on them. Great way to spend time and the subject matter is a door way to those awesome conversations about horror and the afterlife. 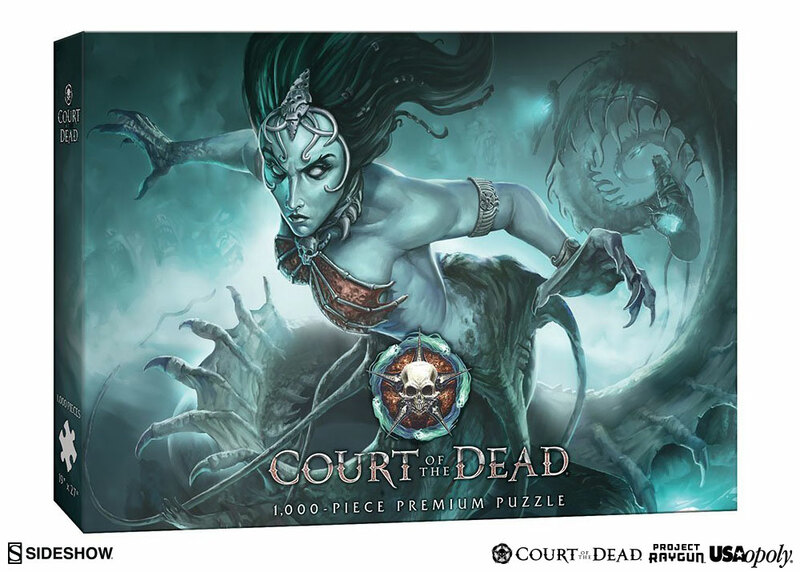 Ive always been a big fan of the old Warren Magazine puzzles and am so happy that they decided to release puzzles from the Court of the Dead line. 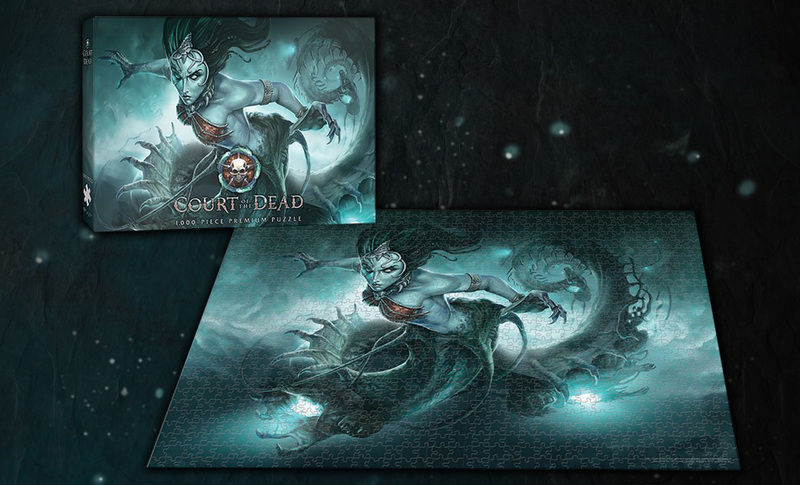 The artwork is fantastic and a great piece to add to my COTD collection.